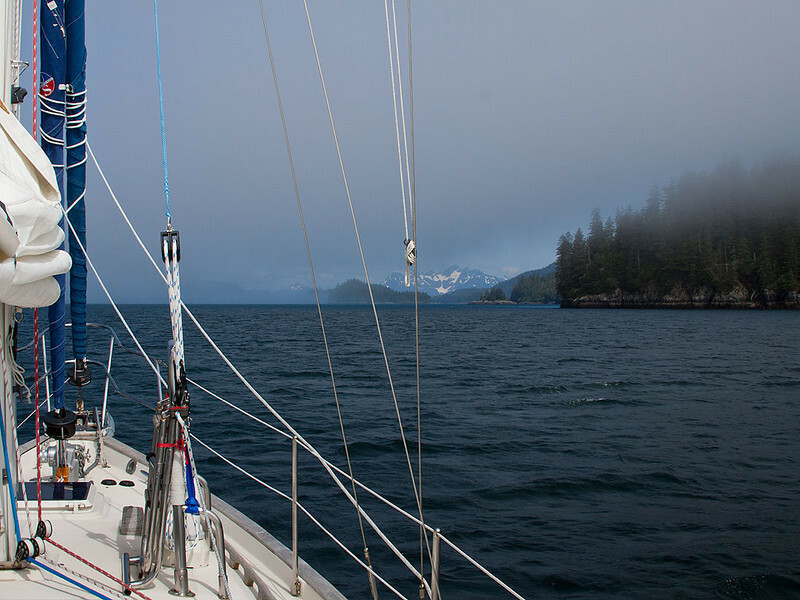 S/V Elnora visited Prince William Sound for 8 wonderful days of sunny weather and awesome scenery. img_9623 Prince of Wales Passage (N60 03.17 W148 07.79). Fog starting to lift as the south breeze sets in.